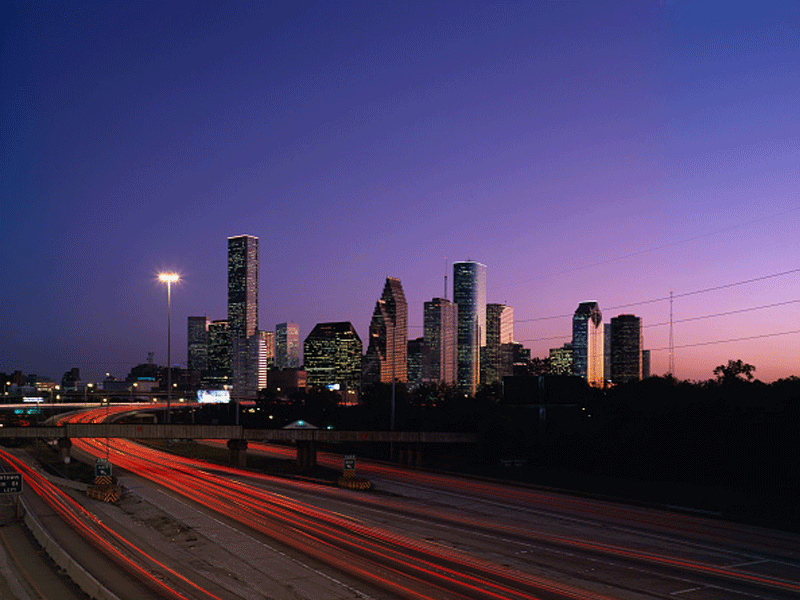 A severe slowdown could be on its way to Houston. John Moran and David Chen at Macquarie looked at multifamily (MF) and commercial real-estate (CRE) markets in Houston in a note on Friday. The analysts say there has been much "handwringing" over the banking sectors' loan exposure to oil and gas companies but there could be more serious ripple effect. "We have cautioned that second-order fallout, particularly around MF/CRE in 'oily' MSAs [metropolitan statistical areas], is potentially more troubling than energy credit per se," the note said. Recent economic data, anecdotal evidence, CRE contacts, and REIT/builder commentary suggest a more pronounced Houston slowdown may be materializing, with increased pressure on lease economics driven by: (1) free rent/tenant concessions, (2) fewer tenants/less demand, (3) new completions, and (4) an elevated sublease mrkt. The note adds that Dallas-Fort Worth and Austin have been more resilient than Houston so far and that investors should be cautious of bank stocks with exposure to oil-patch metro areas, naming Cullen/Frost Bankers Inc., Prosperity Bancshares, and BOK Financial Corporation. The most recent Dallas Fed Manufacturing Index report showed that Texas factory activity increased for the first time in nine months in October, but the demand component remained negative. There were no headcount changes after five months of declines, as the employment index rose to zero. The post Bitcoin Price Locomotive Runs out of Steam appeared first on CCN: Financial Bitcoin & Cryptocurrency News. The cryptocurrency exchange behind the recently launched OBITS currency initiative, CCEDK, is increasing the future payouts derived from profits and fees generated through user registrations on OpenLedger and other associated revenues - including profits from a start-up ‘crypto’ casino project. As a sweetener over Black Friday it is offering the same Friday price this Saturday. The post Bitcasino.io Launches First Video Slot For Bitcoin Players appeared first on CCN: Financial Bitcoin & Cryptocurrency News. The post Bitcoin Friendly PureVPN Celebrates Black Friday and Cyber Monday by Offering 2 Years of Full VPN Protection for Only $49 appeared first on CCN: Financial Bitcoin & Cryptocurrency News. In a new interview with CoinDesk, Russia's Ministry of Finance opened up about bitcoin and blockchain technology.